6 So what is the best scope for Ruger 10/22? Just like any other products you wish to buy for your arsenal update, riflescopes also have different price ranges for varied budget allocation. Cheaper rifle optics does not necessarily mean it is sub-standard or the best choice if you want to save because you just might end up wasting your money. Same is true for high-end optics because even with an expensive price tag, the item may not be your match. Bushnell AR Optics. The rifle scope designed for Ruger 10/22 rifle is on top of our price scale among our three top picks. This high-end riflescope may require you to shell out extra cash but it is fully loaded with some of the best features for target precision and clarity. It is a great deal for your money especially if you want a high-performing optics with innovative design and durability. Combat Optical Ruger 10/22 Riflescope. This mid-range rifle optic is a reasonably priced option for 10/22 Ruger, complete with free mounts and rings. The kit showcases some of the most innovative features including clear vision to zero in at 100 yards. For such an affordable price, the mount stays stable and works well even after 200 rounds or more. Simmons .22 Mag. Our most affordable riflescope in the top brood is this optics from Simmons that also features an advanced TruPlex reticle ad comes with rings. 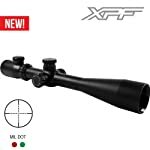 The superior performance of this riflescope is evident in the high-rated feedbacks it received from users of Ruger 10/22 rifles. The riflescope promises not just HD clarity but also quality design that makes it such a remarkable deal for cheaper rifle optics. The best scope for Ruger 10/22 could last for years and withstand the most rugged terrains in the harshest of outdoor weather. Simmons .22 Mag. 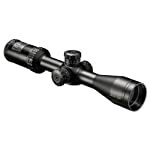 The top-notch and tough materials of this riflescope are tested and used with extensive measures to last for years, regardless of the weather and outdoor conditions. The glass is fully coated, waterproof, fog-proof, shockproof, and resistant to the impact of continuous recoil. It has a one-piece solid tube construction that makes the body tougher and resistant to breakage. Bushnell AR Optics. One of the toughest in the rifle optics niche, the Bushnell scope for 10/22 Ruger is made from resilient and high-quality aluminum alloy, making it durable and lightweight at the same time. It has an anodize finish and protection from exterior elements that could degrade its value. Combat Optical Ruger 10/22 Riflescope. The compact blued 10/22 Ruger riflescope comes with an aluminum rail mount and scope rings, also made from quality aluminum materials. Although the rifle optic has this slick design and good looks, there are issues regarding its ability to last especially the stability and security of the mounted scope on the rifle. What’s the use of a high-end or innovative riflescope if it takes a rocket scientist to figure out using it? The best rifle optics for Ruger 10/22 is easy to mount and install and definitely easy to operate on the field for hassle-free target acquisition. Combat Optical Ruger 10/22 Riflescope. One of the best features of this riflescope is the easy bolt-on installation, making it user-friendly especially for beginners. It also offers easy zero in even for long ranges up to 100 yards. The manual that comes with the kit is likewise easy to follow and with clear step by step instructions. Simmons .22 Mag. The Simmons 10/22 Ruger optics takes pride in its easy adjustment through its patented SureGrip adjustment features. The riflescope kit comes with a set of high-quality mounting rings for convenient installation and mounting. Bushnell AR Optics. There’s a detailed instruction on how to mount this high-end rifle scope and other convenient adjustment design such as the side focus parallax for customizable long range precision. The easy to operate target turrets also deliver precise yet simple adjustments even for novice users. Looking at the design and overall performance of the rifle scope, we can see which of our top 3 picks fair higher in the quality scale. Is the rifle optics you choose really worth your money? Bushnell AR Optics. Some of the impressive features of the rifle scope include the clear 2-7x magnification for the power lens and the BDC or Bullet Drop Compensating reticle. It delivers pinpoint-accurate adjustments with its side parallax focus and the fast focus design to make the eyepiece perform with maximum reliability and precision. Combat Optical Ruger 10/22 Riflescope. The 10/22 Ruger optics boasts of its accurate MOA adjustments and zero in at 100yds capacity. It also shows stability and recoil compensation even after 200 rounds of shooting. Simmons .22 Mag. This is a high-quality and HD clear optics that is fully loaded with powerful magnification and objective lens of 4×32 for units with RF rings special features. The patented QTA or Quick Target Acquisition design ensures precise target upfront while the fully coated optical glass guarantees sharp images and high contrast especially for low light conditions. So what is the best scope for Ruger 10/22? Are you a novice in the field of target shooting? Does your budget play a salient role in choosing a rifle scope? How tough is the weather condition and terrain? Upgrading our rifle optics with the best scope for Ruger 10/22 boosts your performance and target precision. Learn more about other must-have accessories including slug gun scope, shooting mat, and tactical flashlights for AR15.